That’s not rain, it’s Garfield’s tears because today is a freakin’ Monday! We tend to adhere to an attitude of cautious optimism here at The A.V. Club, since it’s not fair to judge something before you can really experience what it has to offer, but a movie studio has made it clear that it knows absolutely nothing about a character that is extremely important to us, and we are really darn steamed. It was one thing for the Transformers movies to actively reject any of mythology or characterizations established in the old cartoon, but this—this—is something else entirely. It’s baffling, it’s maddening, and we just cannot believe that anyone thought this would be okay. The big news, we’re sorry to say, is that Alcon Entertainment has announced who will direct the next Garfield movie, and while we don’t have a problem with the news itself, we have a huge problem with the fact that it was announced on a freakin’ Monday. What in the name of Nermal were you thinking, Alcon? Garfield hates Mondays! 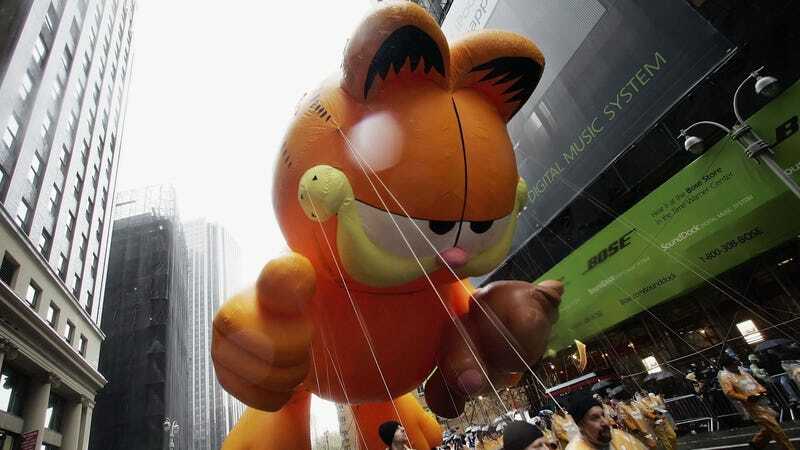 The last thing you should ever do is announce news about a Garfield movie on a Monday, unless the news is that you also hate lasagna and love Odie, because you might as well wear a steel-toed boot if you’re going to kick Garfield while he’s down. This is all infuriating. Anyway, Deadline says Mark Dindal is the guy who will direct Alcon’s Garfield movie, which is reportedly “animated” as opposed to being a combination of CG and live-action like the other Garfield movies. Deadline notes that Dindal was the director behind Chicken Little and The Emperor’s New Groove, but there’s no word on why this news couldn’t wait until tomorrow. Seriously, a Monday? What were you thinking?